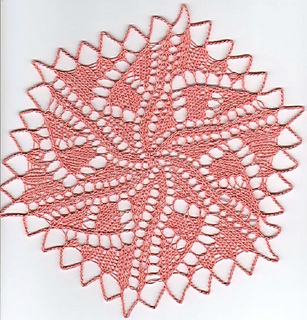 This pattern can be knit with any size yarn and appropriate needles. Suggested in the pattern are 15g of size 80 thread knit on 1mm needles or 25g of size 20 thread knit on 2mm needles. No gauge is stated in the pattern. Instructions are given in both German and English.